So on my first post back from my hiatus I thought I would tackle something that was very near and dear to my heart and that is The Walking Dead. I am going to be honest I love The Walking Dead. I have collected every comic since they came out, I have been a fan since 2001, it remains my personal favorite comic book and is one of my most regular watched shows. While I do not agree with everything they do, I do overall like the show and have it DVRed so I can watch it whenever I like. But something that I have noticed as I surf through the internet is the number of naysayers and people who dislike the show and the story at large. Now whenever you have a new and popular television show you are always going to have that group of people who dislike it on principle of it being popular. I completely understand this, heck I am frequently one of these hecklers. I was this kind of person for shows like Lost and Dexter. Two television shows that I personally do not like, the former being a show I genuinely think is bad and was bad from the start and another show that has gotten bad as the years have gone on. But really how is the show on the whole? Is it as bad as the naysayers say it is. Am I the fan of a genuinely good show or do I have to file AMC’s The Walking Dead under the ‘guilty pleasures’ category of my film and television portfolio. Well I think we need to have a look. During this review I promise to be unbiased as possible giving my previous fandom of the comic book and the story in and of itself. I am going to look at each of the two previous seasons AND the season 3 as it stands at the time of the writing 3/4/2013. After the Season 3 finale I will have a follow-up to give my views as the season after its conclusion and how I will feel of future installments. no spoilers as I will be speaking in generalizations. Season 1: By far this season was the best of the three. It was six episodes long which kept it compact and free of convoluted B plots which seem to cause the biggest problems with the future seasons. It was a clear concise six episodes that established characters, developed said characters, and immersed the viewer in the post apocalyptic world presented to them. It also introduced new characters not seen in the comic books like T-Dog, Daryl and Merle Dixon who have since become popular characters. The script stuck pretty tight to the source material only deviating on some slight plot points. The acting is well done and the cinematography really puts you into the world that is grotesque and violent. Overall this season is the reason the show is so popular right now. The performances from the cast, the cinematography, and the story is what brings the show together. 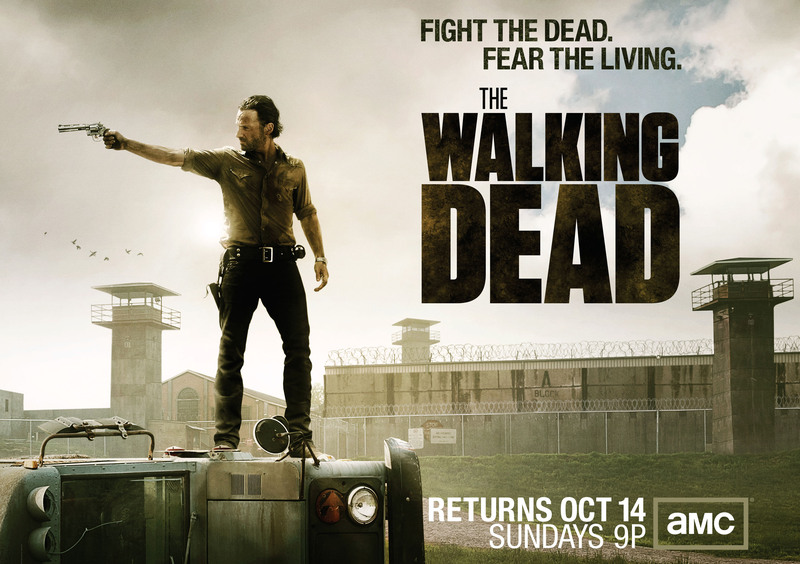 Season 2: Season 2 was a very difficult season to shoot on the grounds that by the source material from the comic book, this season focuses on the groups stay on Hershel Greene’s farm. In the comic book as opposed to the television show they spend a very small amount of time at the farm, Carl’s gunshot wound is not in the least bit life threatening. They sit around, have the barn scene, then leave for the prison. But with the huge success of the first season the episode format went from 6 to 12, thus doubling in size. Because of this there is A LOT of padding. Such as Carl’s life threatening wounds, Sophia’s disappearance, the Randall plot, and the Shane/Rick scenario all of which do not appear in the comic book. This season has the misfortune of being too long for its own good and is the reason why the show has been critiqued as being a human drama more than a zombie survival show since there is very little zombie combat during season 2. I understand where producers were coming from. Sandwiched in between the intro and life at the prison is a crucial set of events that involves Hershel’s farm, the barn scene, and introduction to several characters. You cannot cut it out, nor can you just shoehorn it into one episode. But with the show the way that it was, merely having 6 episodes was out of the question. At the same time, starting the prison plot was out of the question too, the prison deserved its own season and not just sharing half with the farm. Thus the padding and human drama is created. Personally I thoroughly enjoyed this. I am a fan of character development over the large amounts zombie killing. It is the reason why I like the Walking Dead over films made by George A. Romero. Out of everything out there, this story is the closest that we have to what would REALLY happen during a zombie apocalypse. Even in a zombie apocalypse, zombies are secondary to the way humans react to the collapse of law and order and coping with the fact that they are no longer on the absolute top of the food chain. That is what I believe drives a good zombie story, not kill zombies and more zombies. However I can see why this is not something other fans want to see. There are people out there who watch zombie stories to watch gory zombie killing. Are they wrong? Of course not just a matter of preference. Overall season 2 is the weakest of the three thus far. It simply has the misfortune of being sandwiched in between the intro and the prison and due to its success receives a lot of padding and makes the season on the whole suffer for it. Season 3: After its success it is clear that the show is taking more liberties with the source material, creating their own universe with a vague connection to the comic books. Other than prison vs. Woodbury the rest is off the table. The show is the most polarizing of the three, with some episodes being very smart and well put together while others are poorly put together. It is very clear that a lot of characters now have a ‘too important to die’ air about them and a lot of characters that are introduced are quickly disposed of for body count. The biggest example of this is the prisoners and Woodbury citizens and it can be argued that a lot of these characters really are superfluous and pointless in the grand scheme of things, making it hard to grow connected to a new character because you know they are not going to be around for much longer. Some plots such as the Andrea in Woodbury plot and the Merle/Daryl storyline are very well put together while Rick’s psychosis and Michonne’s reasons for disliking the Governor are very poorly constructed and makes the show suffer for it. Before I reach my final conclusion I have noticed many other reviewers who have commented on a possible ‘racial’ problem with the show, demonstrating a white male patriarchy. This is where my ‘comic book’ fan comes into play. The show does seem to play into this, however the comic book is very different. A lot of characters act different and there are many African-American and female characters that are in leadership roles. So this is an area where the show does seem to suffer. I do not believe it to be intentional but it is something that is worth mentioning. FINAL CONCLUSION: Overall I do believe that the show is a good show. Is it a timeless classic of television and find itself in the upper echelon of TV history? No of course not. It is a decent show with a good premise based on a phenomenal comic book series. Eventually as the seasons where on it will go the way of Lost and Heroes and ultimately be a positive mark in cinema history. Final Score: On my scale of 1-5, one being terrible and five being phenomenal. I am going to give it a 3.5/5. It is a decent show and is worth a look at if for anything then an hour of enjoyable, dramatic, and suspenseful programming. It is good to be back and reviewing. I will have another review up very soon. So please if you enjoyed this like and subscribe to my blog. My return and a change of policy!